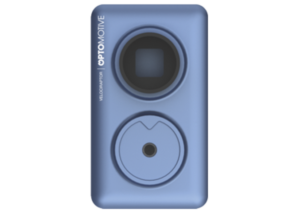 OptoMotive is our partner for developing and manufacturing specific and demanding optomechatronic systems. • 3 general purpose user-programmable digital I/O pins. • Targeted to metrology and industrial use. • CMOSIS CMV4000, 1” CMOS colour, monochrome or NIR sensor, 2048 × 2048 pixels, 5.5 μm pixel size, 180 FPS at JPEG video acquisition. • 4 pin trigger connector (3x bidirectional IOs). • 46 × 84 × 34 mm (OEM with C-mount).